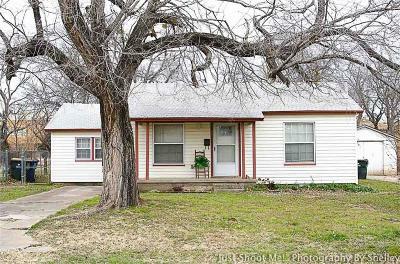 This gorgeous home could either be a 3 bedroom or a 2 bedroom with a second living area/study. You can decide how it best fits your needs! The homeowners have made some beautiful improvements to include new sheetrock, fresh interior paint, fixtures, updated plumbing, updated electric with new electric box and 12 inch blown insulation. This kitchen has custom cabinets and stunning wood counters and bar with a unique stone back splash. The bedrooms and bathroom walls have been insulated to reduce noise for daytime sleepers/studiers and the smoke detectors are hard wired with hearing impaired notifications. The homeowners spared no expense on the bathroom. Custom tiled walk in shower and tiled floors with a granite topped vanity. 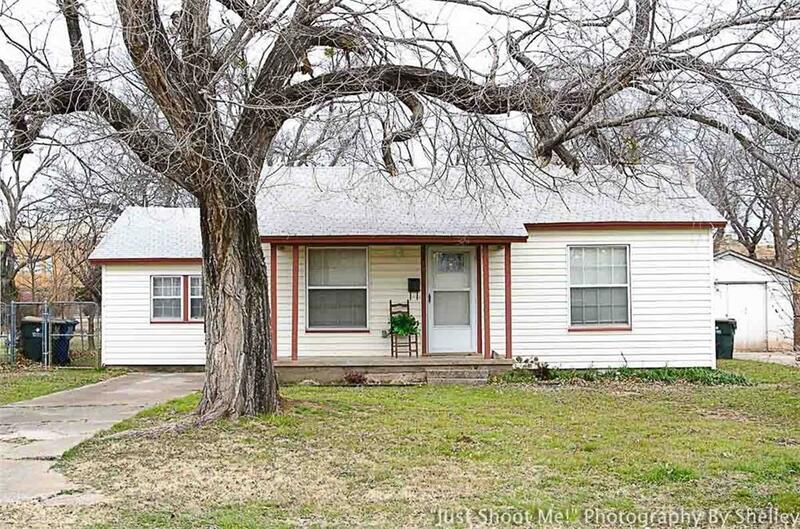 This home is within walking distance to USAO, Grand Avenue Elementary, and Bill Wallace Early Childhood Center. Come take a look! !